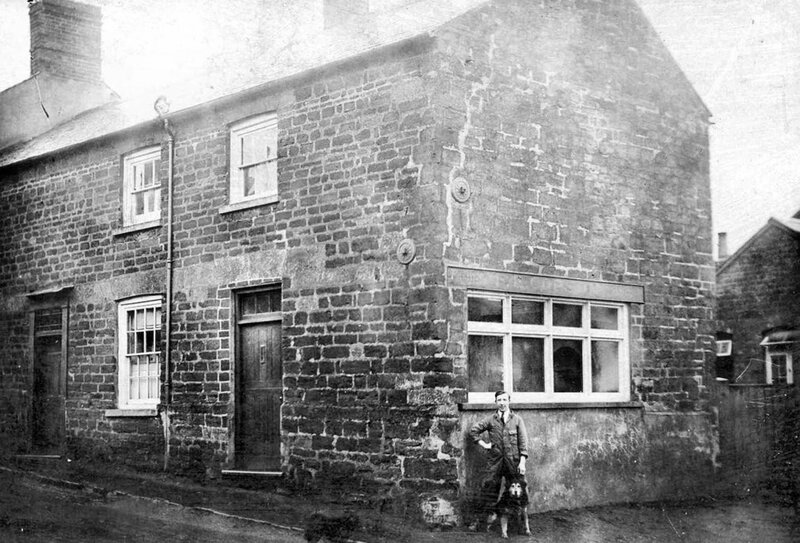 Frank Copson owned the butcher's shop in Brixworth Road until he retired in 1926, and sold the business to Frank Saul. 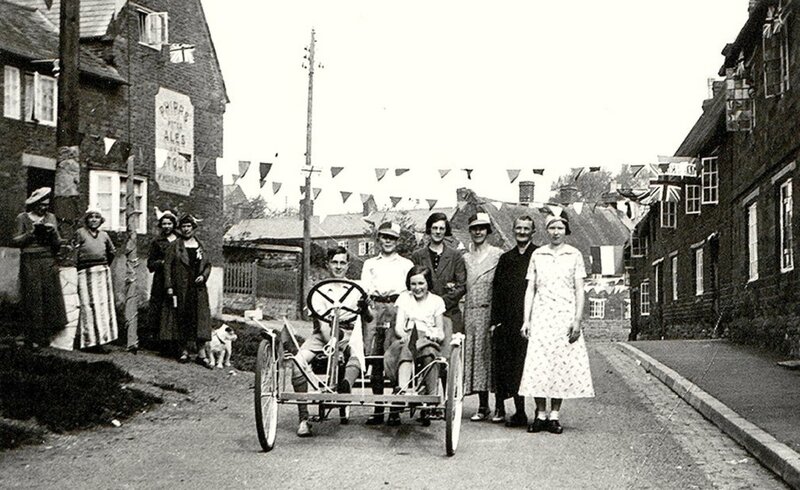 He ran it with his wife, Cecile, and Charles Tipler of Brixworth, a former employee. The property included a slaughterhouse amongst its outbuildings. 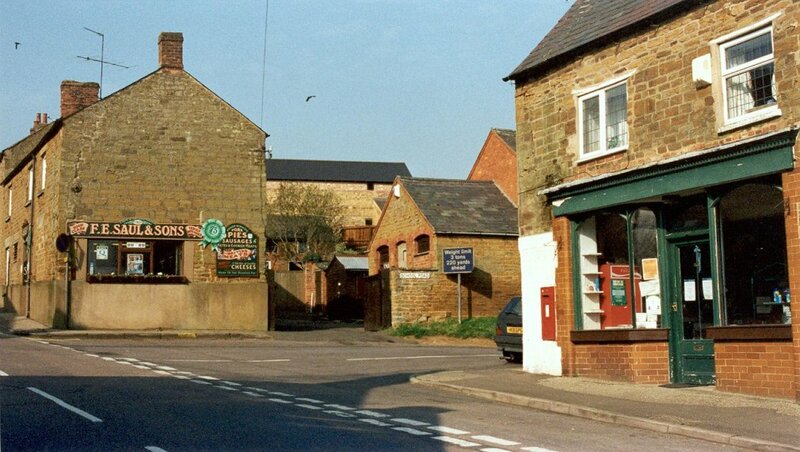 Cattle and sheep were brought from the local farms, pigs were reared and hens kept in the field on Brixworth Road. Here too cattle were rested before being killed, most weeks one bullock, six sheep and a pig were despatched by Charles Tipler. One eventful day a sheep took fright, ran into the shop and jumped straight through the window. 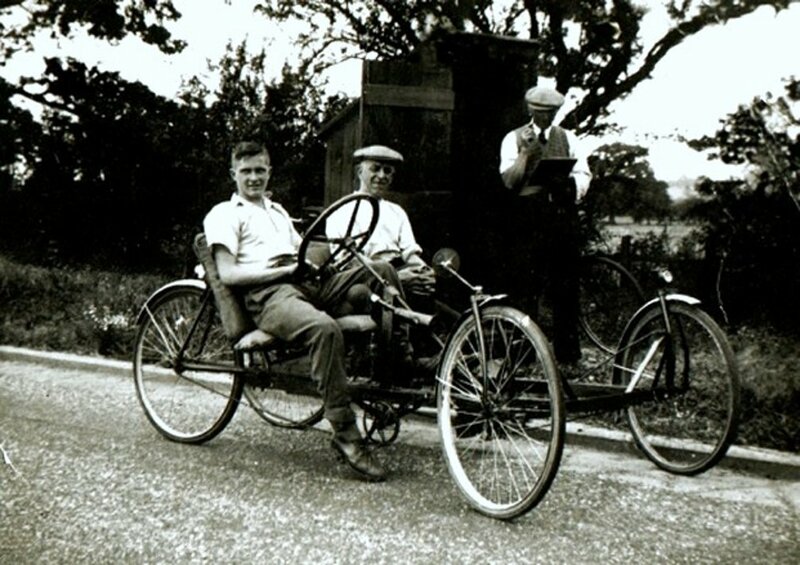 A pony and trap was used to make deliveries in the early days, but Sauls became the proud owners of a Model T Ford van and also a telephone, one of only four in the village. 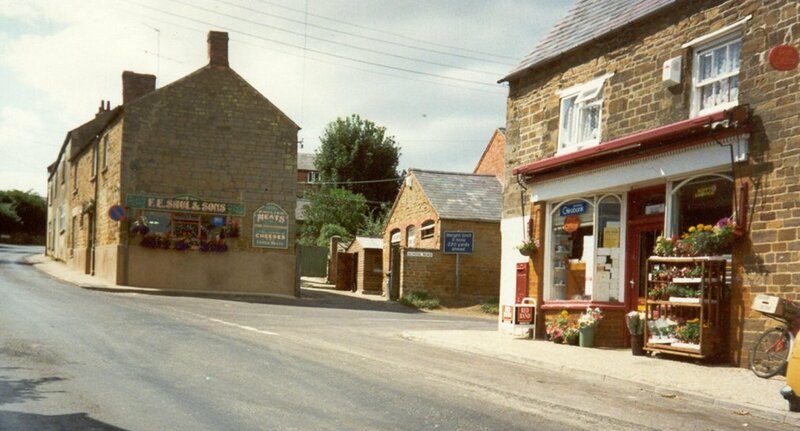 Deliveries were made to most of the surrounding villages and there was keen competition as most also had a shop. Sauls relied heavily on the custom from the big houses. Mrs. Saul made a number of pork pies each week and moulded them by hand on the dining table. They were then taken to Northampton to be baked. Frank Saul's connections with the farming community later brought the custom of the Grand Hotel in Northampton, who provided kitchen waste for the pigs - often including items of cutlery thrown in by mistake. 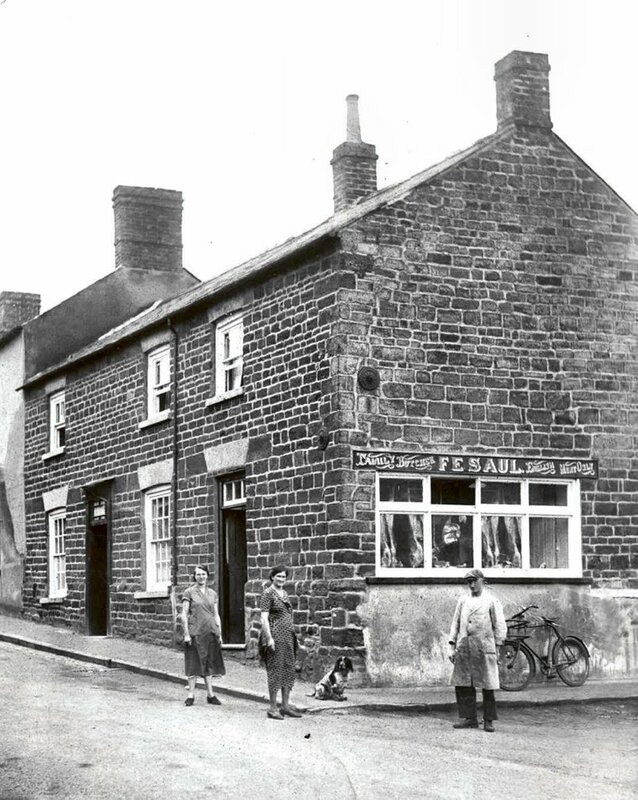 In 1933 the business became F E Saul and Sons when the eldest son, Peter, left school. A new van was bought and meat sold directly from the back on a regular round. Times were difficult during the 1939 - 1945 war with sons Peter and William both joining the forces, and also with the onset of rationing. Depending on the number of people registering, each shop had a quota for meat plus some corned beef to distribute. Prices were also regulated. 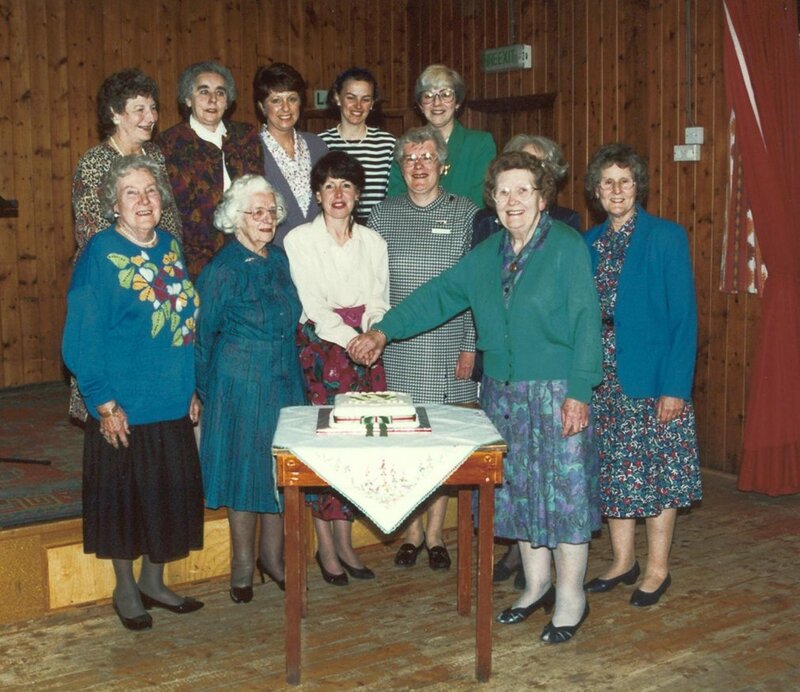 Daughter Kathleen was brought in to help with work such as deliveries and book-keeping. After the war Peter, now married with a small son, Christopher, returned to the shop. Rationing remained until 1954. 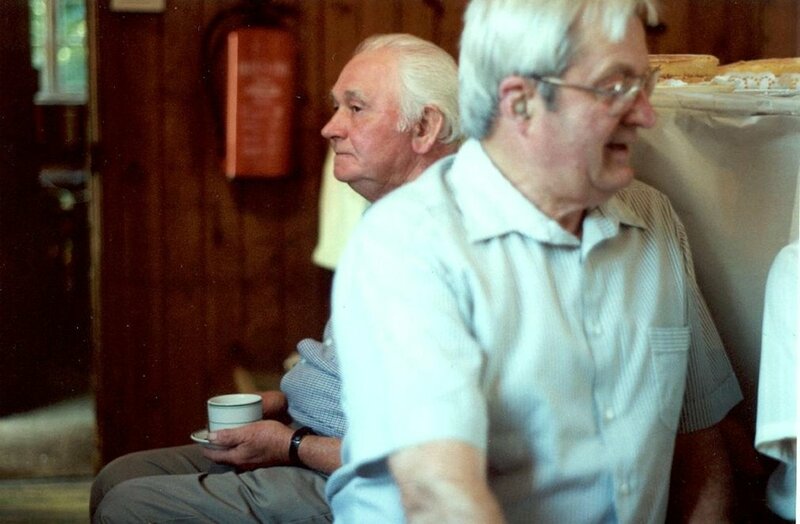 In the meantime, Frank had been expanding into farming and when Bill was demobbed, they went into dairy farming. History repeated itself when Christopher, after training at Smithfield College and abroad, came into the business. Deliveries were now from a travelling shop. Pork pie production was expanded and many other cooked foods added. More recently a catering business has been developed. There have been many loyal employees over the years, particularly Yvonne Holmes and Martyn Boshell and the business has grown into the 'Sauls of Spratton' we know today. The building is probably circa 1800 or later.